Candidate must possess SMU/SMK or equivalent, Diploma or Bachelor degree. Does not require working experience. Able to use Adobe Photoshop, Pen Tool is a must. Knowledge of Photoshop and have a photo-retouching skill, such as: creating good selections, masking, background removal, cropping, color correcting, liquefying or compositing. Preferably Staff (non-management & non-supervisor). Candidate must be self motivated and be able to work in a fast paced environment. Willing to be placed in Sleman, Babarsari. Candidate will be part of our editing team that will edit and process client’s images on a daily basis. Communicating with team members to ensure streamlined processing. Will get 6 days off each month, scheduled. Untuk melamar Lowongan Kerja Image Editor Night Shift (Yogyakarta) di PT. 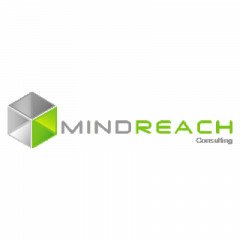 Mindreach Consulting, silahkan klik disini. Demikianlah informasi mengenai Lowongan Kerja Image Editor Night Shift (Yogyakarta) di PT. Mindreach Consulting semoga berguna bagi anda.